Image caption The old Legat’s Ballet School is hidden by thick woodland and “shrouded in mystery”. An old Islamic school once suspected of training terrorists and a group of gothic cemetery chapels have been named on a top 10 endangered buildings list. 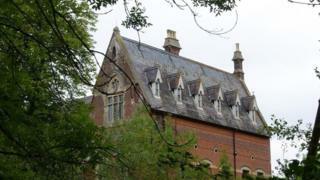 The former Legat’s ballet school in East Sussex was raided by police in 2006 – now a campaign hopes to save it. 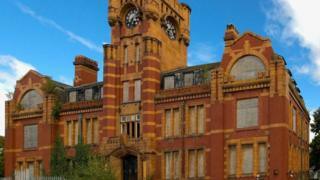 The Victorian Society’s annual list aims to expose the plight of Victorian and Edwardian buildings at risk. He added: “These are pieces of the history of the Victorian era and its industrial, spiritual and cultural beliefs – incredible. This Victorian Mansion, which started life as a girls’ orphanage, was raided by police in 2006 on suspicion it was being used as a terrorist training camp. 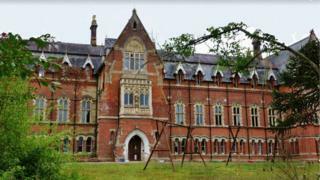 Christopher Costelloe, director of the Victorian Society, said the former Legat’s School of Ballet was “shrouded in mystery as access is so difficult”. 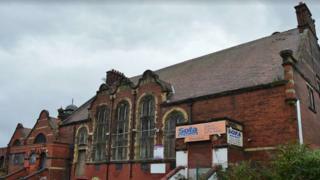 The dance school operated from 1970-90 but the building was bought by a charity in the early 1990s and run as an Islamic school, which closed in 2007. The glass and iron Winter Gardens structure was built in Torquay and then relocated by barge to Great Yarmouth in 1904, the society explained. Over the years, it said, the “unique, nationally-important building” had been used as a ballroom, roller-skating rink and a German beer garden. 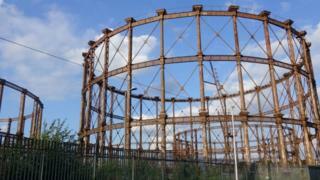 These seven gasholders – an eighth was destroyed by a bomb in World War Two – in east London are surrounded by industrial development. The society said the value of so many Victorian gasholders packed together was “unmatched anywhere else in the world”. It said this made the collection a “true symbol for the Industrial Revolution and historically of high significance”. 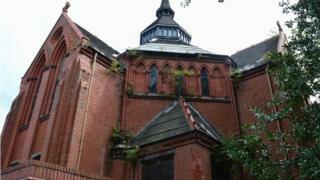 Initially built as a chapel for the Merseyside deaf community, the society said the “once grand” gothic structure was now in a “terrible state”. For 20 years after it closed in 1986 it was run as a successful community centre for the Igbo community but rising costs forced them out in 2007. Hartley’s jam founder, philanthropist Sir William Pickles Hartley, built a village of 49 houses for his workers at this factory site. The main factory building was demolished in the early 20th Century and while the houses have been in use, the remaining factory buildings are said to be largely derelict. In 2011 the site was declared a Conservation Area and the Victorian Society said it “deserves to be protected, restored and celebrated”. Built as the private residence for the American inventor and sewing machine entrepreneur Isaac Singer, the mansion was remodelled by his son in the early 20th Century in the style of the Palace of Versailles. It had many different functions during the later 20th Century and was used as council offices from 1946 until 2007. Now its future is uncertain, but the Victorian Society said the community felt strongly it should remain a public space. The former office building of the John Summers Steelworks stands on the banks of the River Dee but the society said its highly industrial location had made its re-use complicated and so far unsuccessful. To make matters worse, it said the building was subject to regular break-ins and vandalism and was now in a poor state of repair. 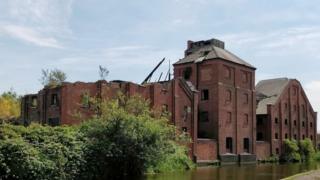 Sitting on the banks of the Titford Canal, the maltings were used until 2006 but fell victim to arson in 2009 which the society said caused “significant” damage. 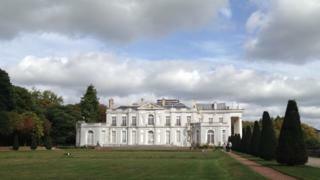 They were were saved from demolition in 2012 but have since fallen into disrepair. 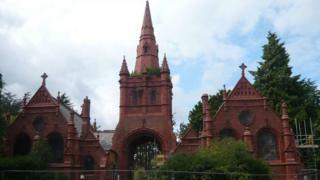 The red brick, neo-gothic mortuary chapels stand at the highest point of Brandwood cemetery grounds. The society said they provided a “dramatic central focus” for the cemetery but were in a “terrible state”. The chapels have been closed for more than 30 years and an arson attack in 1995 gutted the north-east one. 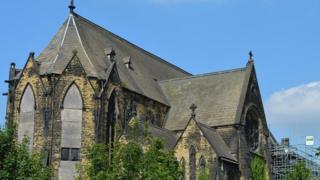 The church lies in a disused plot of land next to a high school just outside central Leeds. Closed for almost 30 years, the society said urban explorer photographs had revealed “very dilapidated” interiors. The Victorian Society is a statutory consultee which offers advice on planning applications for buildings from the Victorian and Edwardian periods that involve an element of demolition. It is also a campaigning charity which seeks to raise awareness of buildings at risk in the UK. “The more people who know about the buildings, the higher their profile and therefore the less likely that they can be left alone to rot or be quietly disposed of,” said the society. People interested in saving buildings in their area can join the friends groups working with them, it said. 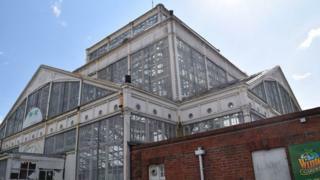 It was “certainly a possibility” that some of the buildings could be converted into homes but the cost was often very high, the society said. “This is often a main reason why historic buildings are purchased by larger developers who wish to use them for commercial or ‘luxury’ development schemes,” it said. What else would you like to know about these buildings? Use the form below to send us your questions.